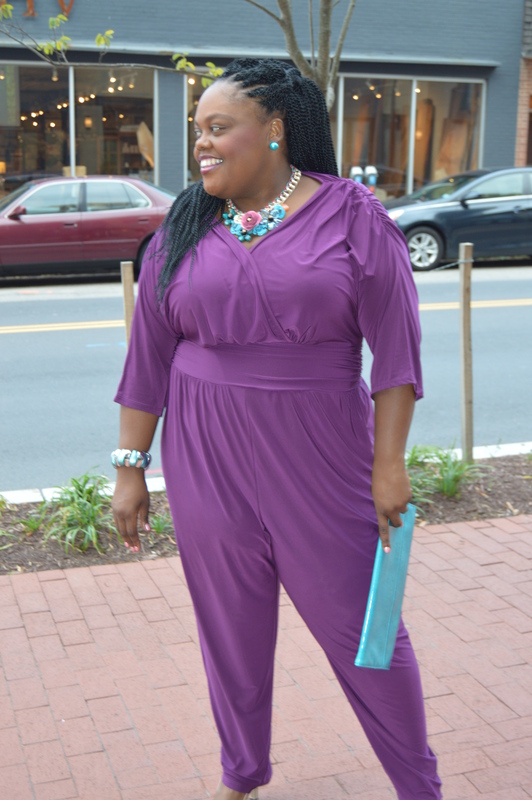 I am not a big jumpsuit person, but when I saw this jumpsuit at Fashion to Figure it was a must have! 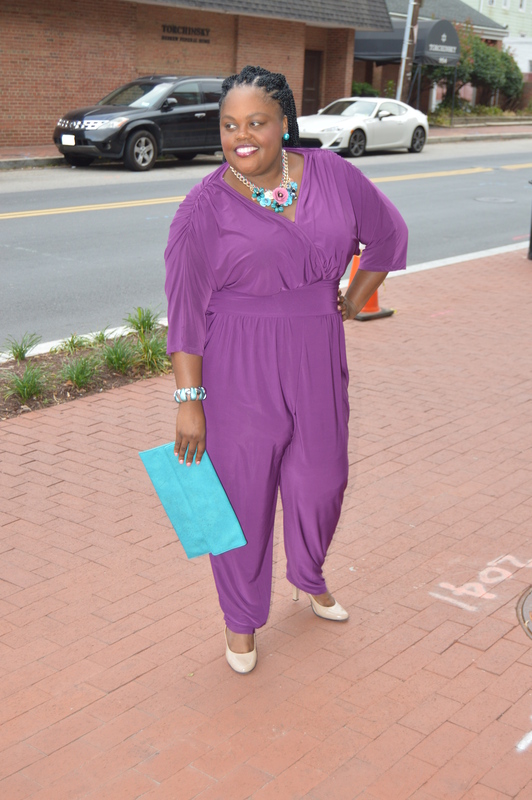 The reason why I am not a fan of jumpsuit is because it bulges right in the front of my mid-section, but thanks to Fashion to Figure this jumpsuit smooths out in the front. I am wearing a 3X, but I could have gone smaller, but it still fit perfectly. 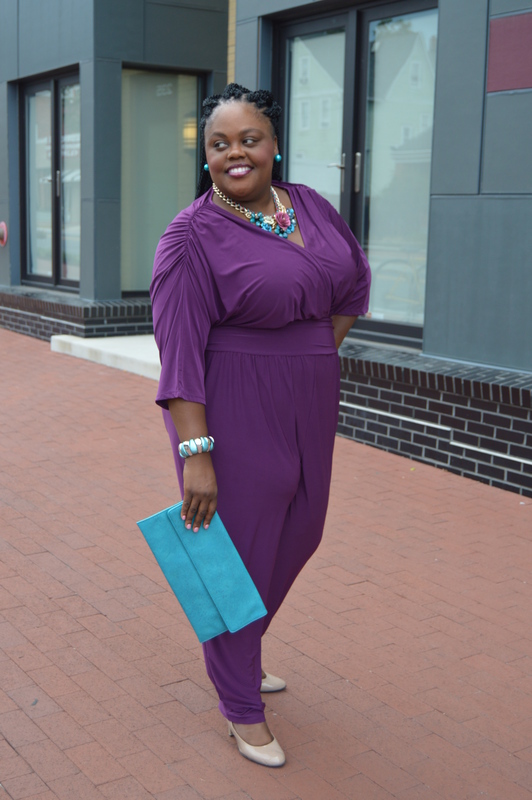 The jumpsuit requires less attention. The shoulders are ruche to give off that that elegant look. 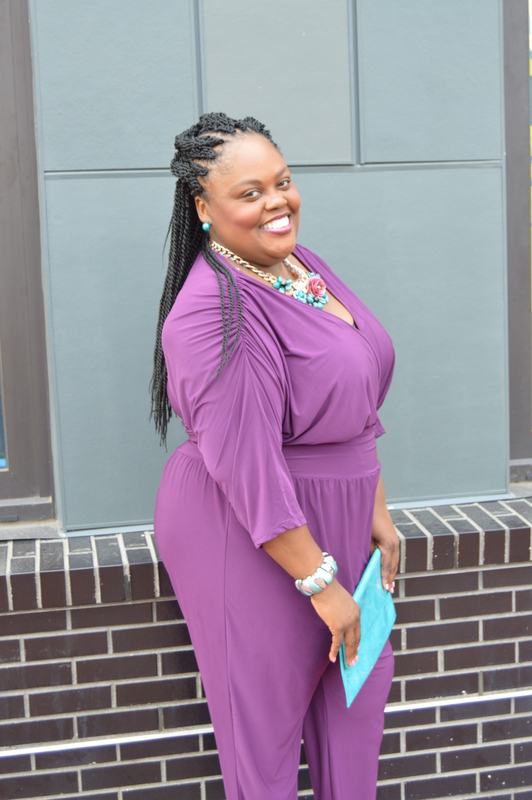 The V-neck allows a little peek-a-boo that will emphasize any neck or beautiful necklace of choice. The waist line is a killer! It fits and look like a belt and holds everything in place. The length was awesome. Not to mention the color just speaks royalty. 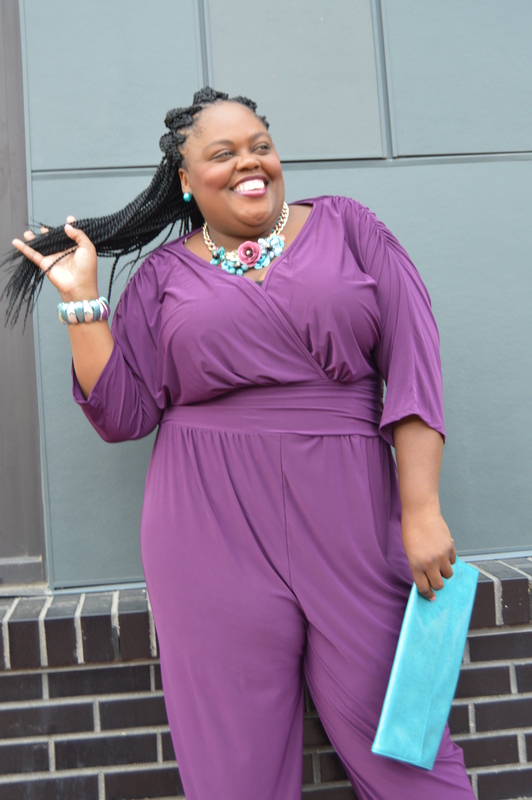 The jumpsuit is very universal and can be worn to work, out with bae, and/or church. 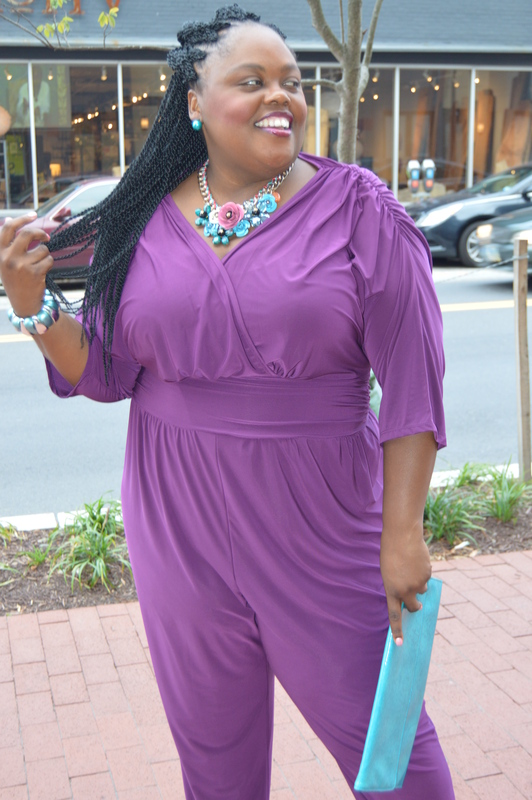 It is one outfit that looks great when you’re re on a go and still feel great inside and outside.